Are you crazy? You made me crying when I saw these pictures. But, now it is time for payback. Just tell me when, and I will come with you and help you. However, Nesta won't be play in the final. This is so sad. I don't know why he has always bad luck. I was dreaming of seeing him in the final. I just hope 2 see a good game coz both semi finals didn’t entertain me during the first 90 min. Italy shouldn’t play like they did vs Germany coz France is the best physical team in this WC & they wont collapse @ the end. I wouldn’t mind either team winning it. 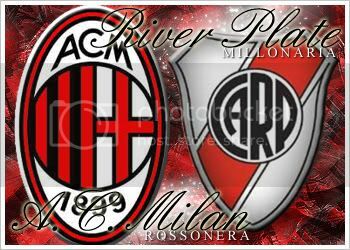 Italy : I have a soft spot 4 em coz of Milan. France : don’t like em but I love Zidane. Also if they win it , this mean Brazil still lead with 2 titles difference from Italy – Germany – Argentina. It's all about Italia baby. Pirlo for Golden Boot (Player of the tourney). It's complicated call since I liked both team especially France seeing them run an unimpressed start that I have ever written them off until unexpectedly pace to fill in their footstep in Berlin, so may the best team win. Plus I look forward to seeing a good game. How you didn't like Italy - Germany is beyond me. I think it stacks up as one of the best matches I've seen in a long time - cretainly the best this WC (France - Spain and Mexico - Argentina were also good). Still rummaging around for praises to Brazil? They're out and dont deserve a mention in this thread. I hope Nesta plays. I'll feel a lot more confident if he and Canna play because Henry is capable of exploding on the big stage. I think weakest point in the backline against Germany was Materazzi. He dwarfs Canna yet Canna had to do all the trampoline-like jumping to clear the air balls. Nesta will surely play better than Materazzi. I hope Lippi starts with 5 midfeilders (like against Germany). But he knows better. My guess is: Italy 1 - 0 France. anyways..italy has meet france 32 times now..and ifrst time was in mialno in 1910 where italy won 6-2 and the last time was in euro 200 where italy were leading but a sub came and equalized then france won because of the stupid golden goal rule...well i guess it's italy's time to win..
LMAO Dugi nice way to hit 'em back.